Despite the ever-expanding role that the patient experience plays in healthcare, effective strategies proven to increase patient satisfaction ratings remain scarce. At the University of Pittsburgh Medical Center, we identified patient-doctor and patient-nurse communication as an area for intervention to improve suboptimal patient satisfaction among medicine inpatients. We posited that the likely reasons for underperformance in this area were a lack of adequate training in bedside communication skills. We developed and evaluated a curriculum for medicine residents and nurses focused on clear communication at the bedside. A total of 76 internal medicine residents and 85 medical service nurses participated in 2016. The curriculum utilized didactics, video demonstrations, and role play, and was evaluated using pre- and post-surveys of participants’ health literacy knowledge, attitudes, and confidence. Communication skills were evaluated using pre- and post-direct observation at the bedside with a communication skills checklist. Hospital Consumer Assessment of Healthcare Providers and Systems (HCAHPS) scores were compared 3 months before and after the curriculum to assess changes in patient satisfaction. Knowledge and attitudes improved significantly for both residents and nurses. Residents’ and nurses’ observed clinical communication skills improved significantly in most domains, and there was moderate increase in communication-specific HCAHPS scores. A small investment of curricular time devoted to clear communication skills improved residents’ and medical nurses’ knowledge, attitudes, skills, and communication-specific HCAHPS scores. This curriculum, focused on improving bedside communication skills, could be implemented in a variety of settings to improve patient satisfaction and patient experience. Prior Presentations: This data was previously presented as a poster at the Society of General Internal Medicine national meeting in Washington DC, April 2017. The authors acknowledge the Center for Research on Health Care Data Center for their statistical support. The funding for the workshops, statistical analysis, and dissemination was provided by a Frontline Innovation Grant from the Beckwith Institute. The funders did not have any involvement in the design or conduct of the study, the collection, analysis, or interpretation of data, or the preparation, review, or approval of the manuscript. The study was approved by the University of Pittsburgh’s Quality Improvement (QI) Committee and was exempt from review by the University of Pittsburgh Institutional Review Board. Centers for Medicare & Medicaid Services. Hospital Value-Based Purchasing. https://www.cms.gov/Medicare/Quality-Initiatives-Patient-Assessment-Instruments/Value-Based-Programs/HVBP/Hospital-Value-Based-Purchasing.html. Accessed October 1, 2018. Center for Medicare and Medicaid Services, HCAHPS: Patients’ Perspectives of Care Survey 2017; https://www.cms.gov/Medicare/Quality-Initiatives-Patient-Assessment-Instruments/HospitalQualityInits/HospitalHCAHPS.html. Accessed October 1, 2018. ACGME Milestones. 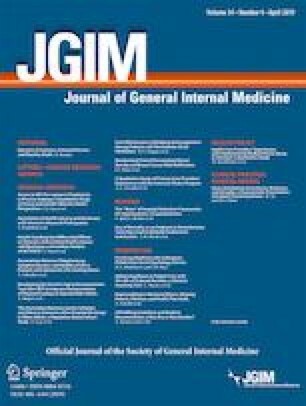 2015; http://www.acgme.org/Portals/0/PDFs/Milestones/InternalMedicineMilestones.pdf?ver=2017-07-28-090326-787. Accessed October 1, 2018. National Council of State Boards of Nursing (NCSBN) Guidelines. 2018; https://www.ncsbn.org/testplans.htm. Accessed October 1, 2018. Bedside Communication Training for Nurses and Doctors. 2016; https://beckwithinstitute.org/programs/. Accessed October 1, 2018. HCAHPS Summary Analysis. 2016; http://www.hcahpsonline.org/globalassets/hcahps/summary-analyses/results/2017-10_summary-analyses_states-results.pdf. Accessed October 1 2018.